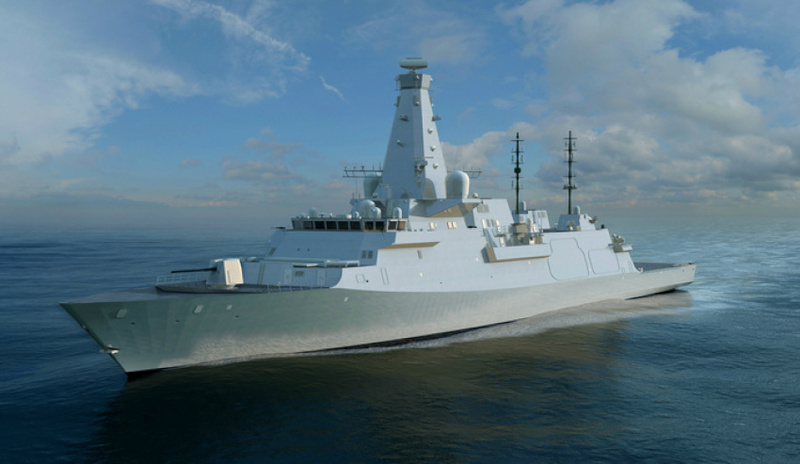 The Future Frigate program will be one of the largest nation-building projects Australia has ever undertaken. Not only will it support our Defence Force in addressing our region’s rapidly changing defence and security challenges, but it will have a positive impact on the country’s workforce, our tertiary institutions and local business. Despite the size, scale and longevity of the program, should our bid be successful, the company I lead will build and maintain our Future Frigates in Australia, by Australians. And at BAE Systems we have a track record of doing just this. For the past 60 years, we have worked to grow Australian skills, techniques and capability. As a result, we are behind many of Australia’s defence programs, including the most successful defence export program ever, Nulka, an Australian designed, developed and built active missile decoy. Today’s shipbuilders have the experience and expertise that Australia should be proud of, and the ability to contribute to the nation’s next defence success story. The expertise that was developed and deployed in Adelaide at ASC to build our Air Warfare Destroyers is the perfect example. This expertise can and will be utilised again. But to ensure success, we will need not only the engineers and highly skilled technicians who work in the shipbuilding industry today, but thousands more. We won’t do this by importing a workforce or doing work overseas, but instead Australian industry and academia must work together with government to invest in, develop and grow the size and capability of our workforce and the many hundreds of businesses who we need to ensure this endeavour is a success. SEA 5000 is not a program where ships are simply built, delivered and industry can walk away. This will be an endeavour that spans generations, as our future frigates are maintained and upgraded over many decades. A focus on the development of the next generation of workers is therefore critical. This is where industry, government and academia need to work together to provide pathways through education to careers that will ensure we are generating a strong pipeline of skilled graduates and apprentices. Our recent announcement that we will create 1,000 graduate roles and apprenticeships through the life of the Future Frigate program if we are successful, is a measure of the opportunity we have forecast for the coming generations of Australian workers. Through the creation of a long-term national shipbuilding industry we have the chance to create careers for life, not short-term jobs. The opportunities will be long-term, high-skilled and financially attractive. They will drive a newly invigorated industrial manufacturing base in Australia, built on latest 'Industry 4.0' principals and using world leading technologies to build formidable naval ships. And all of this technology and intellectual property will be Australian-owned and controlled no matter which company leads the project. Enabling the full transfer of intellectual property to Australian industry will ensure Australia can build new capabilities which will input, not only into the SEA 5000 program, but into global export programs as well. BAE Systems Australia has a local supply chain of over 1,600 Australian businesses with which we invest around $360 million annually. Giving those businesses the knowledge and capability to enable them to pitch and win business from BAE Systems’ annual global supply chain expenditure of $18 billion is the right path to ensure an enduring industrial base is grown through a successful domestic industry. In terms of scale, SEA 5000 is larger than the Snowy River Hydro Electric Scheme. It will require thousands of workers to build and support its nine Anti-Submarine Warships over their 35-year service life, and will have ripple effect on the wider Australian economy. SEA 5000 is a once in a century opportunity to create a sustainable sovereign industry in Australia for Australian workers and Australian suppliers. It has the potential to allow Australia to participate in defence export programs far beyond what we have achieved to date, but it will require the co-operation of all players, Australian and international, government and private, if we are to be successful.